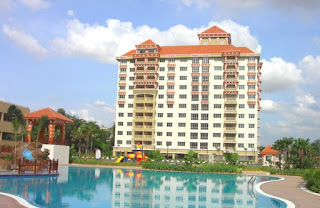 Koi Tropika is located in a new residential project in Puchong, this serviced condominium is a joint project by Masteron Sdn Bhd and Permodalan Negeri Selangor Bhd. Boasting a concept which is based on prosperity and harmony, the KOI Serviced Condominiums also manages to achieve through its’ Zen-like themes that adorns the surroundings with its lush forest-like greenery interspersed with attractive tropical plants. It’s also further enhances with a KOI pond. Facilities such as Integrated Security with 24 hours CCTV Surveillance System, Broadband & Wi-Fi Services, Swimming pool with bar, Kindergarten for kids, Sauna, Gymnasium, Jogging Track & Night Park, Cafeteria, Convenience Shop, BBQ pit, Laundry services, Housekeeping Services which will definitely serve to create a healthy and fulfilling environment for its residents. 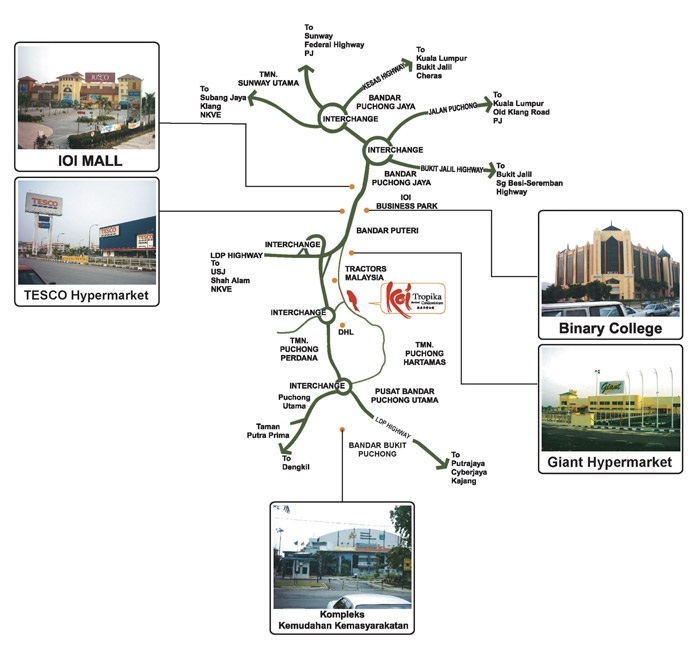 Total units of the development are 1,050 units of condominium. Built-up Area : 846 sq.ft. - 1,188 sq.ft.